* Claystone is a natural water-based clay that, if kept moist, can be worked indefinitely, either as a direct modeling material or over an armature. 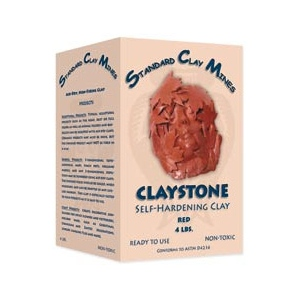 * This clay is specially formulated with a fiber filler to minimize shrinkage and cracking while drying over an armature. 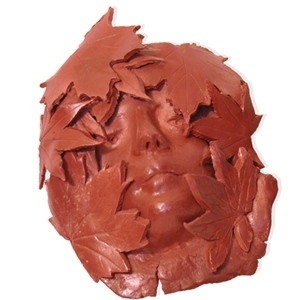 * There is no need for kiln firing as this material air-dries hard and is durable. * Once dry, Claystone can be sealed with an acrylic spray or shellac and then painted with acrylic paints or a patina. Please note, pieces made with Claystone are for display only. Since the clay is porous, you must first seal its inside surface if you want the sculpted piece to hold liquids.